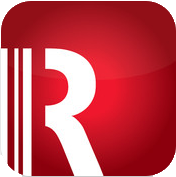 What I love most about RedLaser are the extra features it provides in comparison to a lot of other apps on the market. This is not your average barcode scanner. RedLaser has options, this scanner does more than just read a barcode and tell me the price, it allows me to make a shopping list, check reviews, and compare prices. It even keeps track of items that I have scanned and allows me to go back to that in the future. The biggest reason why I favor this app is because it’s sort of an all in one, it doesn’t just work as a simple barcode scanner. If I’m at the bookstore and scan the barcode of a novel I’m interested in, not only will it give me a rundown of comparative prices from both brick and mortar stores as well as internet retailers, but it also gives me reviews of the book! Awesome right? 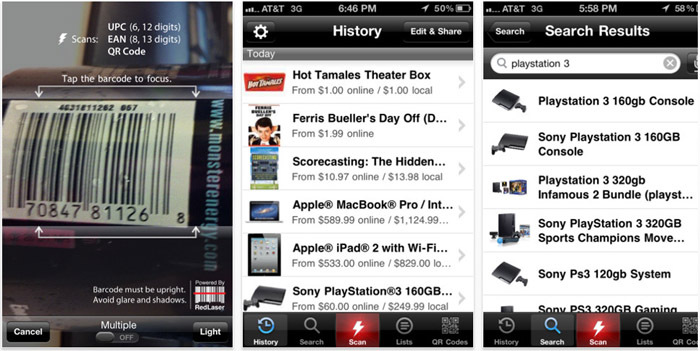 Other favorite feature is using it for groceries, I can scan a product and choose to add it to my shopping list. Perfect for keeping track of what I’m buying and also saving items I prefer for future shopping. Click here to download this app for free!